Holidays at Hotel habicher hof provide unlimited enjoyment and down-to-earth experiences; pure relaxation in a friendly environment that feels like home; a break from everyday life amid the inspiring nature of Oetz; and countless opportunities to explore, both in summer and winter. Similar to the first spring tulips, Hotel habicher hof exemplifies vitality and an optimistic outlook on life. Indulge in the finest Tyrolean lifestyle with superior comfort, delight in the charm of the picturesque Ötztal, and discover what has made this place a special gem for the last 60 years. On 20 to 22 m², our Country-Style Double Room combines authentic country style with Alpine mountain panoramas and a beautiful touch of Ötztal living comfort. The room features include a shower and toilet, hairdryer, bathrobes, sauna and bathing towels, a safe, flat-screen TV, radio, minibar, telephone, wooden flooring, and a balcony. Our classic among the room categories combines the finest natural materials with state-of-the-art amenities. It is equipped with a shower and toilet, hairdryer, bathrobes, sauna and bathing towels, a safe, flat-screen TV, radio, minibar, telephone, wooden flooring, and a balcony. Exquisite design for guests with a heightened sense of style – and the desire for an unforgettable holiday. All rooms in the Deluxe Double Room category are fully equipped with a shower and toilet, hairdryer, bathrobes, sauna and bathing towels, a safe, flat-screen TV, radio, minibar, telephone, wooden flooring, a comfy sofa or sofa sleeper, and a balcony. The delicate scent of pine fills this extra-spacious suite and promises silken slumber. Our Pine Suite features all modern amenities, including a shower and toilet, as well as a split bedroom and lounge. The suite also provides a hairdryer, bathrobes, sauna and bathing towels, a safe, one or two flat-screen TVs, a radio, telephone, minibar, carpeted floor, a comfy sofa or sofa sleeper and balcony. Experience 35 m² of pure joie de vivre in our romantic Country-Style Alpine Suite, and take in the infinite panorama of the Ötztal Alps. Refined design elements provide for a unique living experience and state-of-the-art amenities ensure the highest of living comfort, with a shower or bathtub, separate toilet, hairdryer, bathrobes, sauna and bathing towels, two flat-screen TVs, a radio, safe, minibar, telephone, wooden flooring, and a balcony. Outside, the majestic peaks of the Alps. Inside, precious wood and elegant Alpine design. Our Alpine Suite welcomes you with all modern amenities, including a shower or bath, a separate toilet (except for in our barrier-free suite), a hairdryer, bathrobes, sauna and bathing towels, a safe, flat-screen TV, radio, minibar, telephone, sitting lounge, wooden flooring, and a balcony. The unique architecture of our 55 m² Country-Style Tower Suite provides you with a stunning panorama, which will inspire you to take on the entire Ötztal. A cosy sitting area in the tower, a split bedroom and living room, elegant wooden flooring, and a generous balcony ensure the highest standard of living comfort. The state-of-the-art suite amenities include a shower and/or bathtub, separate toilet, hairdryer, bathrobes, sauna and bathing towels, a safe, two flat-screen TVs, a radio, and minibar. Our Deluxe Tower Suite stretches over 55 m² and includes a shower or bathtub, split toilet, hairdryer, bathrobes, sauna and bathing towels, a safe, two flat-screen TVs, a radio, minibar, sitting area in the tower, telephone, wooden floors, a separate sleeping and sitting area, as well as a balcony. The highlight of our 35 m² large Panorama Suite in Oetz, Ötztal is a luxurious bathtub from where you enjoy an excellent view of the splendid natural habicher hof surroundings. Furnished with a cosy sitting lounge, generous balcony, and many more exquisite features, the Panorama Suite ensures highest living comfort. The amenities include a shower or bathtub, separate toilet, hairdryer, bathrobes, sauna and bathing towels, a safe, flat-screen TV, radio, minibar, telephone, and wooden flooring. Our traditional Country-Style Family Suite delights families with kids on 40 to 45 m². A split sleeping and sitting area ensures privacy and that every member of your family can find their personal retreat. The generous balcony offers a place for everyone to come together. The modern amenities ensure superior comfort with a shower or bathtub, separate toilet, hairdryer, bathrobes, sauna and bathing towels, two flat-screen TVs, a radio, safe, minibar, telephone, and wooden flooring. Plenty of space to enjoy your holiday. With a split sleeping and sitting area, a generous balcony, and its special charm, this suite guarantees your family a special holiday experience on 40 to 45 m². The suite features a shower or bathtub, separate toilet, hairdryer, bathrobes, sauna and bathing towels, a safe, two flat-screen TVs, a radio, minibar, telephone, and wooden floors. Pamper yourself and your partner with a holiday filled with a romantic ambience. What better way to take delight in some time off than by booking a romantic tower embedded in a fairy-tale like landscape! Indulge in understated luxury on over 50 m² featuring a separate bedroom and lounge. The state-of-the-art amenities include a shower and/or bathtub, split toilet, hairdryer, bathrobes, sauna and bathing towels, a safe, two flat-screen TVs, a radio, minibar, sitting area in the tower, wooden floors, and a balcony. Featuring a free-standing bathtub, combined sauna and infrared cabin, and exclusive design, our Vitality Suite represents a new era of Alpine wellness. It invites guests to unwind in the exquisite settings of its generous sitting lounge or on the generous balcony. The exclusive amenities of this state-of-the-art wellness suite include a shower, split toilet, hairdryer, bathrobes, sauna and bathing towels, a safe, flat-screen TV, radio, minibar, telephone, espresso machine, and wooden flooring. Our home for your holiday dreams. balconies are ideally situated to provide moments of bliss while looking out on the magnificent backdrop of the Ötztal mountain range. All rooms at Hotel habicher hof in Oetz, Ötztal can be booked to include our exclusive gourmet board. Explore and discover the many different flavours of the Ötztal and savour many a culinary highlight in an inspiring ambience. Our indoor panorama pool, is filled with fresh spring water that is heated to a pleasant temperature of 30 degrees Celsius. Combined with stunning mountain vistas and bright sunlight, this place ensures that time stands still as you complete lengths and forget about the cares of the world. Timeless wellness awaits amid inspiring surroundings shaped by soothing warmth, select fragrances, and elegant design. Calm both your spirit and mind and revive your body in our exquisite Finnish sauna and infrared cabin. 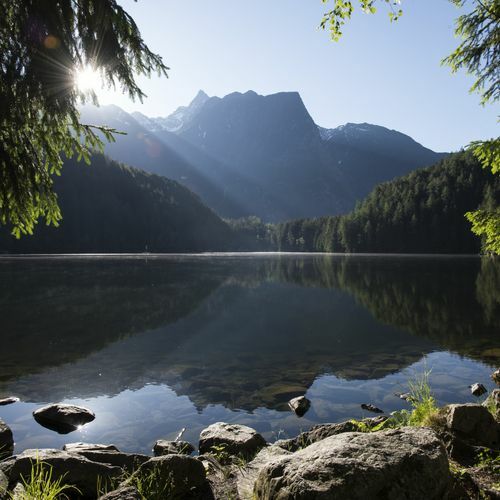 The Ötztal summer is known for its variety and numerous events and festivals. Set off on your own Alpine adventure and hike toward the horizon, past luscious green mountain meadows, untouched stretches of pure nature, and rustic, traditional mountain huts. You can enjoy perfectly groomed pistes, toboggan runs, and winter hiking at its finest as millions of snowflakes dance in the air and transform the Ötztal region into a bright white world of adventure. Where I enjoy the best views, adventures, and moments of calm. Book your holiday now. Culinary highlights to savour every day. Regional, fresh, and prepared with love. At Hotel habicher hof in Oetz, good taste is not a coincidence. It is a refined combination of artful culinary skill and the freshest ingredients sourced directly from local Alpine growers and farms. This creates delicious gourmet moments and heavenly culinary highlights amongst the inspiring scenery of the Ötztal Alps. Our kitchen merges a skilful composition of Tyrolean haute cuisine with Ötztal-inspired nuances and much-loved international classics. Make your personal gourmet moment complete by enjoying a glass of fine wine in the elegant ambience of our authentic Tyrolean dining halls. Our exclusive gourmet board offer gives guests a unique opportunity to explore the flavours of Tyrol either from lavish buffets or our à la carte menu.